There have been lot of adventure mystery games for PC and Mac new out this month. 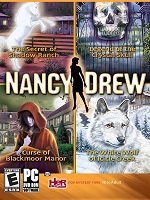 This is a list of my top 10 new mystery adventure PC games out August 2011, plus one more that was out just today, but I haven't played it yet. Included in this list are mostly adventure HO hybrid games with a couple of just hidden object or just point and click adventure games. All have free demos available and some are also available for Mac download too. And also there have been standard editions released this month for some of the extended collector's editions that I reviewed last month: Top 10 New Mystery Adventure PC Games Released July 2011. * Plot: Demons have escaped into the world of Sacra Terra in the form of the seven deadly sins! * Game genre: hidden object, puzzle, adventure. * Downloads available online: Free demo and full version for PC. * Plot: A crash landing has left you and your crew on an uncharted island ruled by a ruthless pirate! * Released 15 August 2011 by BigFish Games/Floodlight games. 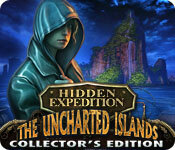 * Read my full review: Hidden Expedition Uncharted Islands Review. This is the 5th installment in the series. See my new post: Hidden Expedition Game Series List. For all the game titles in the series so far. For computer and mobile, in order of PC release. * Plot: A peaceful sea voyage with your father turns into a Nightmare at Sea when your ship is sunk by the legendary Davy Jones. As you begin to explore the bottom of the ocean, you will discover you are not the only one to suffer this fate. Uncover the secrets of Davy Jones as you meet the other lost souls he has trapped for eternity in this intense Hidden Object game! * Released 7 August 2011 by Vast Studios. * My review: Atmospheric, beautifully illustrated and a fun underwater hidden object adventure game. Could have done with a bit longer, took about 5 hours to complete. And some of the puzzles were a little easy, but the adventure and HO parts of the game were really good. 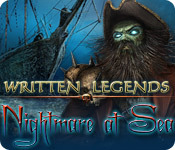 * For free demo/full version download for PC visit: Written Legends: Nightmare at Sea. * Game genre: hidden object, adventure. * Plot: A warlock’s curse has trapped you in an otherworldly cemetery! Explore gorgeous Hidden Object scenes and save the children that the warlock has taken. Learn the history of the evil warlock and find a way to stop him before it is too late! Help other spirits find peace as they help you find useful items and overcome challenging obstacles. * Released 12 August 2011 by ERS Games. * My review: Interesting storyline, atmospheric and well produced. Plus the gameplay is reasonably good, though sometimes not challenging enough. The bonus part of the collectors edition is a bit short. However the engaging storyline and characters make this game worthwhile playing the standard edition when it comes out. 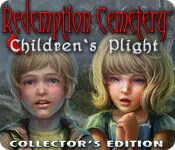 * For free demo/full version download for PC visit: Redemption Cemetery: Children's Plight. This is the 2nd installment in the series. See my new post: Redemption Cemetery Game Series List. For all the game titles in the series so far. For computer and mobile, in order of PC release. * Downloads available online: Free demo and full version for PC / Mac. * Plot: After overcoming the Dreamless Castle and Moonfell Wood, you have come to the rugged, mountainous snow-peaked Goblin Kingdom. Princess Sophia, the only human seen in over a century in this part of the world, seeks answers from its wise King about the fate of the rest of her people. But dark portents await: things are not well in the Kingdom, and dark shadows lurk waiting to trap the unwitting Princess in Awakening: The Goblin Kingdom! * Released 26 August 2011 by BoomZap. * My review: Beautifully drawn, and interesting story, however games are a bit too easy. This is a very long collectors edition, so if your looking for a relaxing, not too challenging but visually engaging adventure game you might like to try this one out! * My rating: ★ ★ ★. * For free demo/full version download for PC / Mac visit: Awakening: The Goblin Kingdom. See also my new post: Awakening Game Series List. For all the game titles in the series so far. For computer and mobile, in order of PC release. * Plot: Help Sonya save her sister from unknown villains! After Lily’s life force is stolen it’s up to Sonya to get it back in this fun Hidden Object Puzzle Adventure game! Explore gorgeous locations and take on the mysterious villains. Piece together the clues and discover the truth before it’s too late. Can you reunite the two sisters and save the day? * Released 22 August 2011 by Specialbit Studio. * My review: Nice mystery adventure game, with comic style artwork, however it did seem that they reused the HO scenes quite a lot. * For free demo/full version download for PC visit: Sonya. * Plot: Help Angel figure out what is real and what is in her head as she attempts to escape from a Mental Hospital! Steeped in psychological horror, Twisted Lands: Insomniac follows the wife of the central character in the original game, as she attempts to escape the mental hospital in which she's imprisoned. Explore a haunting environment as you go on Angel’s mystifying quest! * Released 19 August 2011 . * My review: Nice interactive HO game, good graphics and spooky story. But very short game for a extended edition and the gameplay could have been more challenging. * See also Twisted Lands Trilogy from Alawar. 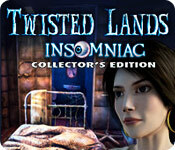 * For free demo/full version download for PC visit: Twisted Lands: Insomniac. * Game genre: hidden object, puzzle, adventure, detective. * Plot: After the police and FBI come up empty in their investigation, Bella turns to forces beyond our world to find her missing son in Lost Souls: Enchanted Paintings! A mysterious package with no return address appears on Bella’s doorstep and now her entire world is about to be turned upside down! Use your Hidden Object Puzzle Adventure talents to explore this incredible game and save Bella’s son! * Released 29 August 2011 by Fenomen Games. * My review: Simple gameplay, nice cartoon style graphics, relaxing detective game. OK, but not very substantial! 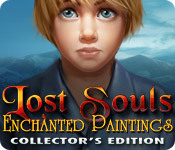 * For free demo/full version download for PC / Mac visit: Lost Souls: Enchanted Paintings. * Game genre: puzzle, adventure. * Plot: Help the ghostly inhabitants of a haunted house as you venture into the beyond and discover the secret of the 6th ghost! Mysteriously summoned to a house you have seen only in your nightmares, you will encounter the dark and inscrutable Nathan and help the ghosts held captive there in Age of Enigma: The Secret of the Sixth Ghost. Explore this spooky Adventure game and escape from hell! 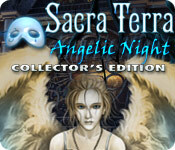 * Released 25th Aug. 2011 by Casual Box Studio. * My review: A pointandclick adventure mystery game, good atmosphere and a good choice for fans of old-school adventure games. And is a nice change from the usual HOG games. 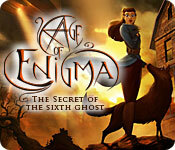 * For free demo/full version download for PC / Mac visit: Age of Enigma: The Secret of the Sixth Ghost. * Plot: Unravel The Secrets of Arcelia Island as you, your father, and a small crew set off on this dangerous expedition! After getting shipwrecked in a storm, you wake up to discover you're alone on an island inhabited by strange creatures and plagued by four deadly curses. Find your father, survive the curses, and stop the tyrannical witch that is responsible in this fantastic Hidden Object Puzzle Adventure game! * Released 28 Aug. 2011. * My review: Nice HO adventure game, not too challenging but relaxing. Not very long though. 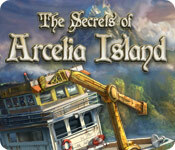 * For free demo/full version download for PC visit: The Secrets of Arcelia Island. * Game genre: hidden object. * Plot: Track down one of the world’s most legendary serial killers in Mystery Murders: Jack the Ripper, an incredible Hidden Object game! Help world-renowned clairvoyant Emma de Ville and Inspector Fred Abberline of London’s famous Scotland Yard as they pursue the notorious murderer. Piece together clues, solve intriguing puzzles and use forensic crime scene investigation methods to hunt the killer down! * Released 31st August 2011 by CasualArts. 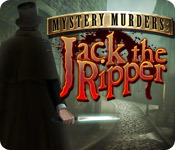 * For free demo/full version download for PC visit: Mystery Murders: Jack the Ripper.